This is the next installment of the “Anarchist Current,” my Afterword to Anarchism: A Documentary History of Libertarian Ideas, that appears in Volume Three: The New Anarchism (1974-2012). Here I discuss William Godwin’s philosophical anarchism in relation to the French Revolution (1789-1795). Previous installments dealt with Daoism and anarchism in ancient China, Etienne de la Boetie’s critique of voluntary servitude and the Diggers in the English Civil War, and anarchism in the French Revolution. Godwin’s companion was the early feminist, Mary Wollstonecraft, author of the Vindication of the Rights of Woman, and their daughter became Mary Shelley, author of Frankenstein and other literary works. 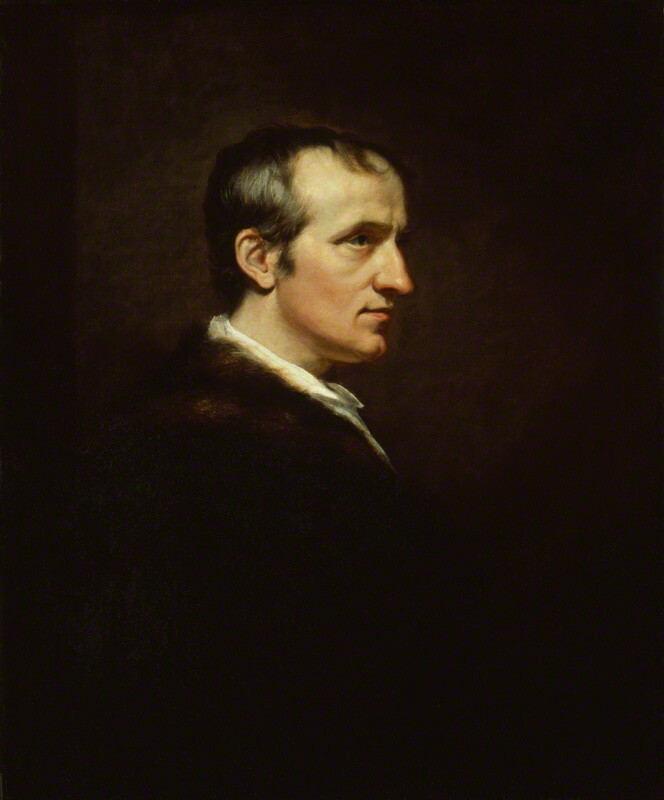 Jean Varlet’s English contemporary, William Godwin (1756-1836), developed an anarchist critique not only of revolutionary violence but of coercion as such, whether the institutionalized coercion of the law with its penal systems, or the individual coercion of a parent toward a child. 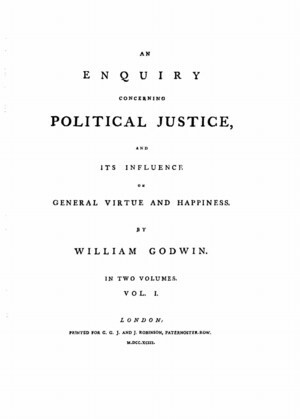 Godwin wrote and revised his great philosophical work, An Enquiry Concerning Political Justice (Volume One, Selection 4), during the French Revolution, publishing the final revised edition in 1797, around the time that Napoleon was coming to power, three years after the fall of Robespierre. Godwin argued that coercion, and its positive correlate, inducements offered by those with wealth and power, distort political debate and moral discussion by causing people to evaluate a policy or course of conduct in terms of the punishments or rewards attached to them, rather than on their intrinsic merits. Coercion and inducements also have a debilitating effect on both persons in power and the people who obey or accept them. “Dressed in the supine prerogatives of a master,” those in power are “excused from cultivating” their rational faculties. Those who are forced to obey their rulers become resentful and fearful. Instead of being encouraged to think for themselves, they learn how to avoid detection and seek power for themselves so that they can effect their own purposes. The deleterious consequences of coercion and inducements are not surmounted by parliamentary debates, or what is now referred to as “deliberative democracy” (Dryzek, 2000). In the first place, the laws and policies of the government are not the result of direct debate among the people, but the result of the debates of elected representatives who represent particular interests. Decisions are made by majority vote of the representatives, who invariably vote along party lines. Even when a debate is not cut short by the ruling party, the “minority, after having exposed, with all the power and eloquence, and force of reasoning, of which they are capable, the injustice and folly of the measures adopted, are obliged… to assist in carrying them into execution,” since all the representatives are required to uphold the law. For Godwin, “nothing can more directly contribute to the deprivation of the human understanding and character” than to require people to act contrary to their own reason. This is particularly true during revolutionary upheavals. Reasoned and impartial debate “can scarcely be pursued when all the passions of man are afloat, and we are hourly under the strongest impressions of fear and hope, apprehension and desire, dejection and triumph.” Revolutions invariably provoke counter-revolution. When “we lay aside arguments, and have recourse to the sword,” amidst “the barbarous rage of war, and the clamorous din of civil contention, who shall tell whether the event will be prosperous or adverse? The consequence may be the riveting on us anew the chains of despotism.” To combat the counter-revolution, the revolutionaries suppress freedom of expression and resort to terror, organizing “a government tenfold more encroaching in its principles and terrible in its proceedings” than the old regime. Despite regarding revolutions as being “necessarily attended with many circumstances worthy of our disapprobation,” Godwin recognized that “revolutions and violence have too often been coeval with important changes of the social system.” While we should “endeavour to prevent violence,” during revolutionary upheavals we cannot simply “turn away our eyes from human affairs in disgust, and refuse to contribute our labours and attention to the general weal.” Rather, we must take “proper advantage of circumstances as they arise, and not… withdraw ourselves because everything is not conducted according to our ideas of propriety.” Godwin’s critique of revolutionary violence must not therefore be misconstrued as tacit support for the injustices which the revolutionaries are seeking to overturn. Since Godwin’s time, anarchists have continued to struggle with questions regarding recourse to violence and the role of anarchists during revolutionary struggles. 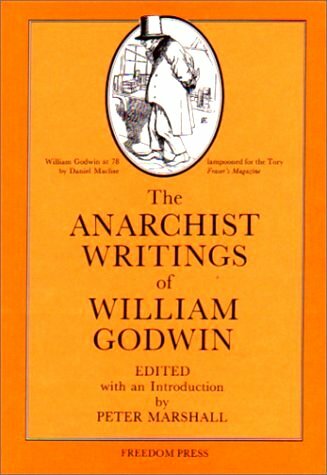 The validity of Godwin’s warning, based on his own observations of the French Revolution, that revolution may result in a new tyranny because it is the strongest and not the most just who typically triumph, has been borne out by the experience of anarchists in subsequent revolutions. In the 20th century, both the Russian (Volume One, Chapter 18) and Spanish (Volume One, Chapter 23) revolutions resulted in dictatorships even more “ghastly” than that of Robespierre, despite the presence of significant anarchist movements. When anarchist movements began to emerge in 19th century Europe, Godwin’s work was relatively unknown. It was largely through the work of the anarchist historian, Max Nettlau (1865-1944), that the ideas of de la Boétie and Godwin were introduced to European anarchists, well after anarchism had emerged as an identifiable current of thought (Walter, 2007). Dryzek, John S. Deliberative Democracy and Beyond. Oxford: Oxford University Press, 2000. Nettlau, Max. A Short History of Anarchism. London: Freedom Press, 1996. Walter, Nicolas. The Anarchist Past and Other Essays. Nottingham: Five Leaves Publications, 2007. This is the third installment from The Anarchist Current, the Afterword to Volume Three of my anthology of anarchist writings, Anarchism: A Documentary History of Libertarian Ideas, in which I discuss the origins and development of anarchist ideas from ancient China to the present day. Part one dealt with Daoism and anarchism in China around 300 CE. Part two dealt with Etienne de la Boetie’s critique of voluntary servitude and various religious heresies, from the Mu‘tazili Muslims to the Diggers in the English Revolution and Civil War. Part three deals with anarchist currents in Europe leading up to and during the Great French Revolution of 1789-1795. Hounded by both parliamentary and royalist forces, the Digger movement did not survive the English Civil War. However, anarchist ideas continued to percolate underground in Europe, resurfacing during the Enlightenment and the 1789 French Revolution. In 1676, Gabriel de Foigny, a defrocked priest, published in Geneva Les Adventures de Jacques Sadeur dans la découverte de la Terre Australe, in which he depicted an imaginary society in Australia where people lived without government, religious institutions or private property. De Foigny was considered a heretic and imprisoned. 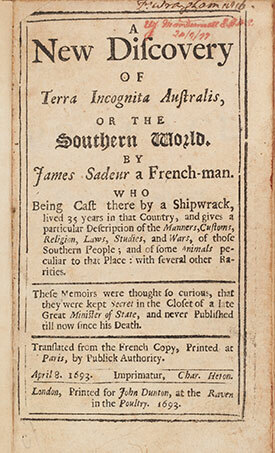 A year after his death in 1692, an abridged English translation of Les Adventures appeared as A New Discovery of Terra Incognita Australis. According to Max Nettlau, de Foigny’s book became “well known,” being “reprinted and translated many times” (1996: 12). Jean Meslier, a priest from the Champagne area of France, wrote a political Testament in the 1720s in which he denounced the alliance of Church and State, calling on the people to keep for themselves “all the riches and goods you produce so abundantly with the sweat of your brow,” and to let “all the great ones of the earth and all nobles hang and strangle themselves with the priests’ guts” (Joll: 14). Similar sentiments were expressed by the French philosophe, Denis Diderot, who wrote in 1772 that “nature has made neither servant nor master—I want neither to give nor to receive laws… weave the entrails of the priest, for want of a rope, to hang the kings” (Berneri: 202). During the French Revolution this was transformed into the slogan, “Humanity will not be happy until the last aristocrat is hanged by the guts of the last priest.” Many variations on this slogan have followed since, with the Situationists during the May-June 1968 events in France calling for the last bureaucrat to be hanged by the guts of the last capitalist (Knabb: 344). 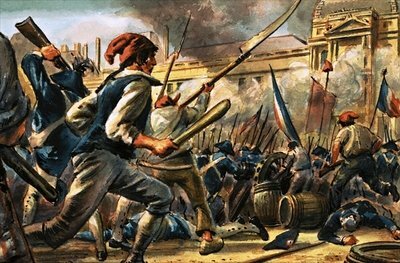 Anarchist tendencies emerged among the more radical elements during the first, or “Great,” French Revolution of 1789, particularly among the sans-culottes and enragés who formed the backbone of the Revolution. Denounced as anarchists by their opponents, they did not entirely reject the label. 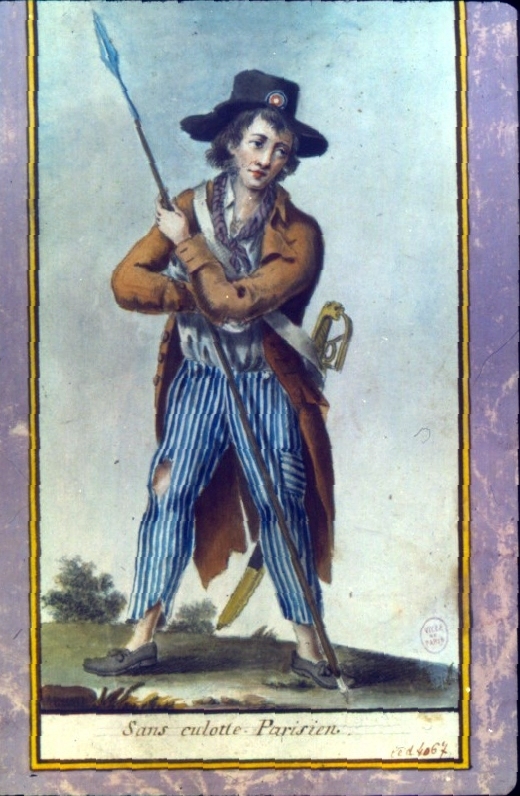 In 1793, the sans-culottes of Beaucaire identified their allies as “those who have delivered us from the clergy and nobility, from the feudal system, from tithes, from the monarchy and all the ills which follow in its train; those whom the aristocrats have called anarchists, followers of faction (factieux), Maratists” (Joll: 27). The sans-culottes played an important role in the revolutionary “sections” in Paris, directly democratic neighbourhood assemblies through which ordinary people took control of their lives. As Murray Bookchin has argued, the sections “represented genuine forms of self-management” that “awakened a popular initiative, a resoluteness in action, and a sense of revolutionary purpose that no professional bureaucracy, however radical its pretensions, could ever hope to achieve” (Volume Two, Selection 62). Unfortunately, other forces on the left, notably Robespierre and the Jacobins, adopted an authoritarian policy of revolutionary terror to fight the counter-revolution, leading the enragé Jean Varlet (1764-1837) to denounce so-called “revolutionary government” as a monstrous “masterpiece of Machiavellianism” that purported to put the revolutionary authorities “in permanent insurrection” against themselves, which is patently absurd (Volume One, Selection 5). Varlet and other sans-culottes and enragés had fought with the Jacobins against the more conservative Girondins, unwittingly helping the Jacobins to institute their own dictatorship. When Varlet saw his fellow revolutionaries “clapped in irons” by the Jacobins, he “retreated back into the ranks of the people” rather than support “a disgusting dictatorship dressed up with the title of Public Safety.” He could not accept that “Robespierre’s ghastly dictatorship” could somehow vindicate the preceding dictatorship of the Girondins, nor that he and his fellow enragés could be blamed for being the unwitting dupes of the Jacobins, claiming that they had done “nothing to deserve such a harsh reproach” (Volume One, Selection 5). 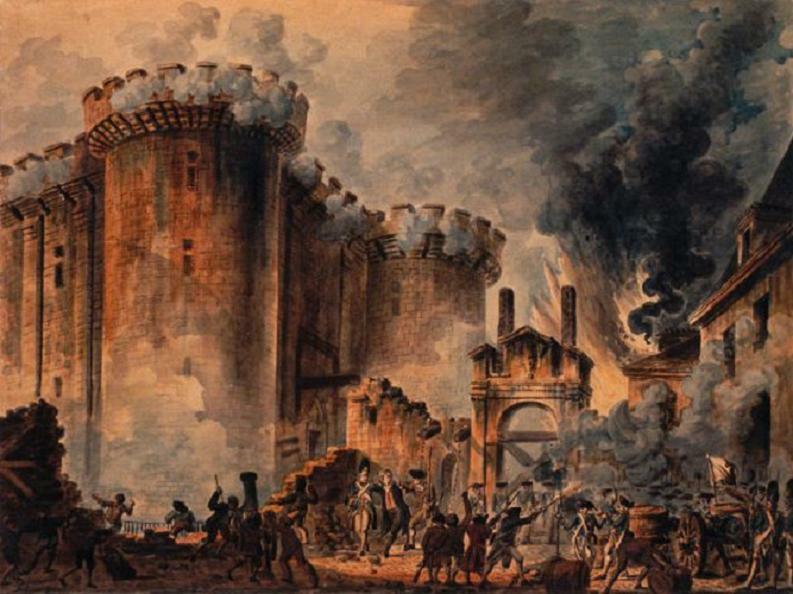 Varlet made clear that the Jacobin policy of mass arrests and executions, the so-called “Reign of Terror,” far from protecting the gains of the revolution, was not only monstrous but counter-revolutionary, with “two thirds of citizens” being deemed “mischievous enemies of freedom” who “must be stamped out,” terror being “the supreme law” and torture “an object of veneration.” The Jacobin terror “aims to rule over heaps of corpses” under the pretext that “if the executioners are no longer the fathers of the nation, freedom is in jeopardy,” turning the people against the revolution as they themselves become its victims. Even with the overthrow of Robespierre in July 1794, Varlet warned that “his ghastly system has survived him,” calling on the French people to take up their arms and their pens to overthrow the government, whatever its revolutionary pretensions. Varlet, in rejecting his own responsibility for the Jacobin ascendancy to power, avoided a critique of revolutionary violence, simply calling on the people to rise yet again against their new masters, a call which went largely unanswered after years of revolutionary upheaval which had decimated the ranks of the revolutionaries and demoralized the people. There were a couple of abortive uprisings in Paris in 1795, but these were quickly suppressed. Berneri, Marie Louise. Journey Through Utopia. London: Routlege & Kegan Paul, 1950 (republished by Freedom Press, 1982). Joll, James. The Anarchists. 2nd Edition. Cambridge, MA: Harvard University Press, 1980.